We live in the digital age, which means electronics are central to our lives. But it seems like as soon as the newest gadget comes to market, everything else becomes obsolete! It can get expensive keeping up on the latest tech trends. Sydmor’s Jewelry & Pawn Shop is here to help make it more affordable for you. At our electronics store in Barberton, OH, you’ll find a wide range of the hottest gadgets and tech accessories, priced affordably so you can stay current without breaking the bank. Each year brings another round of tablets. If you’re looking to jump into the handheld market while it’s still current, we’re your destination for a new tablet! From Apple and Samsung, we stock a rotating selection of tablets that’ll help you enjoy the latest tech trends in style. Looking for a new gaming rig that’s affordable? Need a new laptop for work that’s fast and powerful? 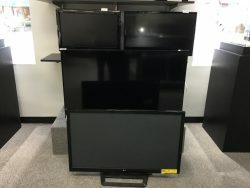 Before you drop thousands on a new computer or laptop at the store or online, stop by our shop to see what kind of selection we offer. We’ve always got new models and builds and can help you find the computer that meets your needs. We specialize in Apple brands. Electronics are a primary source of entertainment—whether it’s gaming systems, Blu-ray players or entertainment systems. 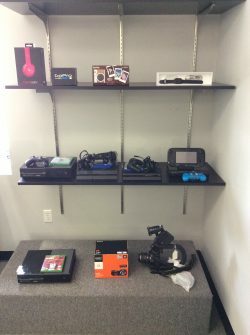 If you’re looking for a cost-effective way to entertain yourself with new electronics, stop by our shop today and browse our stock of options. From gaming systems like Xbox and PlayStation, to media players and more, we’re happy to help you get your hands on affordably-priced electronics. For more information about any of the electronics we have in stock or to browse our current selection, we invite you to stop by today or give us a call at 330-753-6812.